The analysis will adequately take into account the overall context including social, ethical and technological issues. It draws a “big picture” where we consider different regions of the world and different needs. 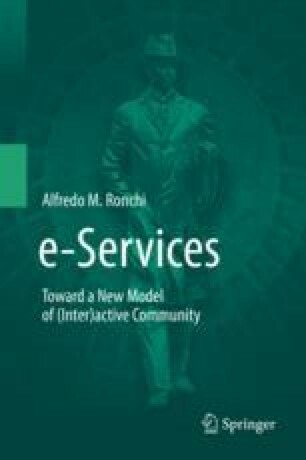 The chapter outlines to what extent e-Health represents true innovation, which means having positive impact on society, making better the life of citizens in a broad sense. We all know that the healthcare sector differs from country to country as a unique mix of public, unlicensed private, private and even voluntary set of services; not to forget insurance companies. Starting from today’s added value applications we will try to identify future trends and goals. Recent Background, e-Health in Europe and a global vision. From Medical Systems to e-Health and to m-Health. Archiving Electronic Patient Folder; e-Health in the Clouds. Ethical Dimensions of the Information Society, Information Ethics (Infoethics) and Bioethical aspects in e-Health and m-Health. e-Health and Privacy Issues; RFID radio technology, ethics and privacy. Medical device or fitness tool? The Use of Data and Privacy, Informed Consent and the Warsaw Declaration, EU General Data Protection Regulation (GDPR). A Galaxy of Health services; services in the field of drugs. How to Report on Patient’s Satisfaction; Education and Awareness. Mobile Virtual Laboratories and Mobile Medical Facilities; “Makers” in the Field of Health. Dependency and Technological Vulnerabilities. The Self-Management of Health. “Seniors”: an Increasing User’ Sector; social weakness; aging in Europe; most common chronic diseases. MUSME: The Interactive Museum of History of Medicine.